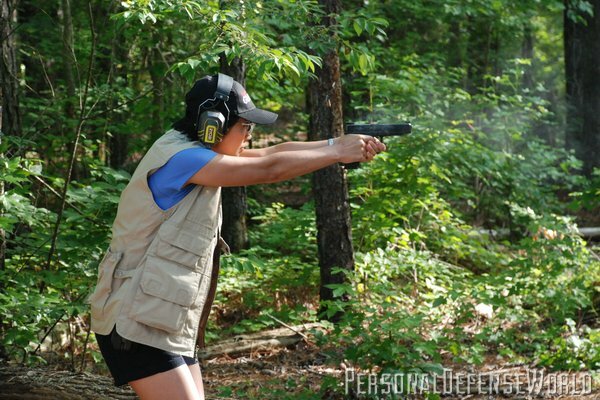 Wei Young takes high woman honors at an IDPA match with her GLOCK 34. 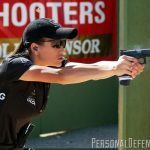 Tori Nonaka captures another junior championship in practical shooting with her GLOCK 34. 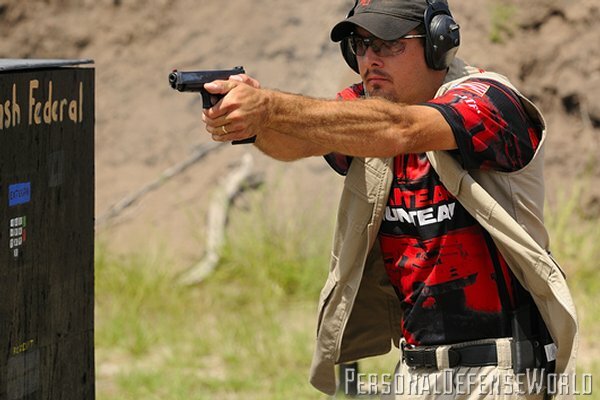 Bob Vogel of Team Panteao posts the top score at the 2011 IDPA World Championship with his trademark GLOCK 34. Historically when we think of a “target pistol,” we picture a precision-shooting machine intended to shoot tiny groups. Such guns usually have chambers so tight that they may not fire with certain types of ammunition. Their tolerances are so minute that they must be cleaned constantly, lest they fail to function. 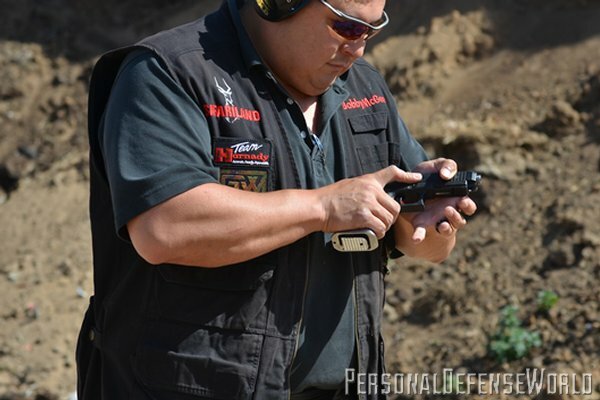 The “target-pistol” paradigm is almost exactly opposite the profile of the ideal service pistol. However, changes in the paradigm have occurred over the years. Six decades ago, a private citizen who wanted to shoot a pistol in competition was limited to what might be called “the precision games”—American bullseye shooting or such international sports as Olympic slow fire. As the years went on, “practical shooting” formats rose to dominance. These encompassed elements of fast draw, extreme rapid fire, and coarse accuracy requirements in which it sufficed to hit the equivalent of vital parts of a deadly enemy’s body. In U.S.-style bullseye work, rapid fire meant a cadence of five shots in 10 seconds. In some International Practical Shooting Confederation (IPSC) or International Defensive Pistol Association (IDPA) competitions, there might be stages where the winner would fire those five shots in one second—a pace literally 10-times faster than the older standard. In those arenas, the GLOCK’s attributes proved to be a whole lot more desirable. 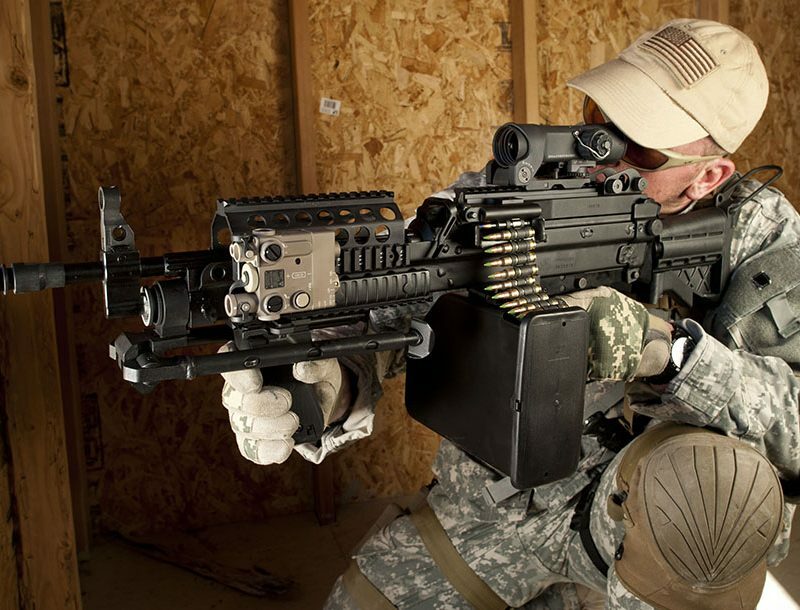 A 1-inch group at 50 yards was no longer necessary. Instead, utter reliability became a non-negotiable essential. To win against a shooter of equal skill, the competitor could no longer take time to clear a malfunction, and in the practical shooting contests, there would be no “alibi runs”—no chance to do things over if the pistol misfired or choked. Those attributes of “rugged reliability, long service life, and ease of use and shooting” were as prized in this corner of the shooting world as they were on the battlefields and streets for which the GLOCK pistol had been designed. This meant that GLOCKs would be ideal guns for these new “practical” games. 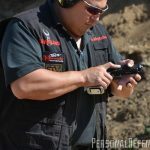 The high-speed, low-drag, “can’t-afford-a-jam” practical shooting sports of today include the aforementioned IDPA and IPSC, with IPSC’s American branch being the United States Practical Shooting Association (USPSA). The latter organization also now encompasses competitive “steel shooting,” as typified by the famous Steel Challenge. 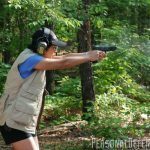 Practical handgun shooting encompasses NRA Action Pistol, a program introduced by John Bianchi and the late Ray Chapman in 1979 at what is still that sport’s premier event, the Bianchi Cup. 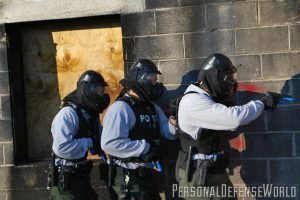 It is safe to say that bowling pin matches fall under the umbrella of practical pistol shooting, and law enforcement and some private citizens have competed on the Practical Police Course (PPC) for a quarter of a century in local matches. Let’s look at where the GLOCK fits in with all those games. 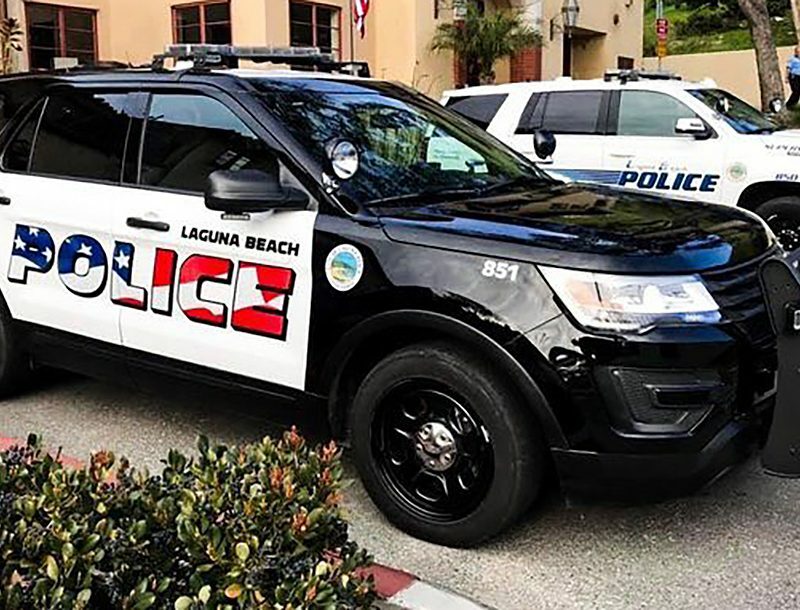 Starting with those last mentioned, officers with their duty GLOCKs have been known to win the Police Service Pistol Champion title at the national championships hosted every year in Albuquerque, NM, by the National Rifle Association. Though it was built to be a working tool and not a precision shooting machine, it’s no trick to get a GLOCK pistol that will put every shot into less than 2 inches at 25 yards. This is ample for shooting a perfect score on NRA’s official law enforcement silhouette target, the B-27. Bowling pin matches are still a favorite at grassroots gun clubs. Five or so tenpins stand on a table, some 25 feet from the shooter. On signal, whoever shoots them off the table the fastest wins. The .45-caliber GLOCKs have an advantage here because the momentum of a chunkier bullet is more likely to drive the heavy bowling pin off the table. In most events, the shooter’s time doesn’t stop until the last pin has been blown off. The Bianchi Cup has seen superb performances delivered by such gunners as superstar junior shooter Tori Nonaka. One of the superstars of the steel game is K.C. Eusebio, who has set many of the all-time records there over the years. In fact, K.C. has just joined Team GLOCK. The USPSA—and IPSC around the world—has seen a rise in GLOCK handgunning. 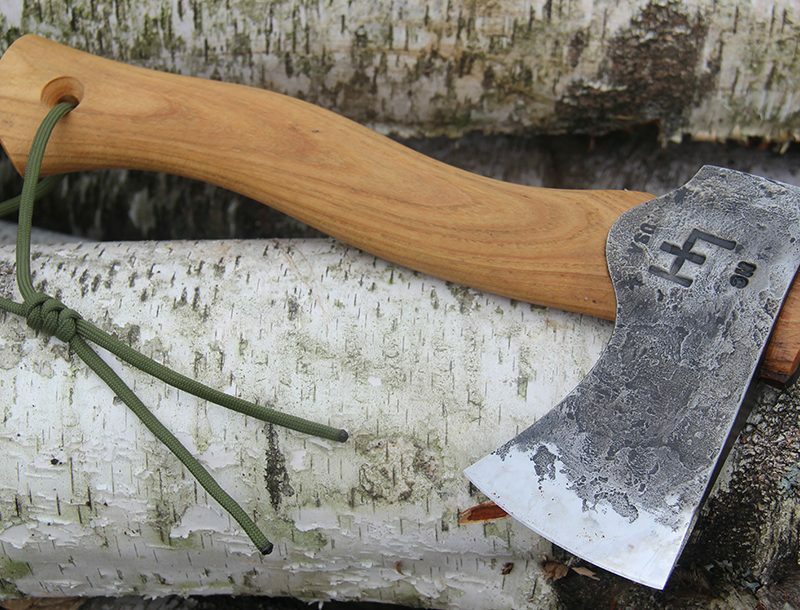 It has proven particularly popular in two categories. 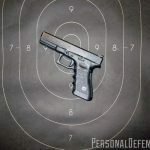 One is Limited, where IPSC’s famous power factor is in play, and the .40-caliber GLOCK “makes major” and gives the shooter bonus points for a hit outside the center scoring zone. 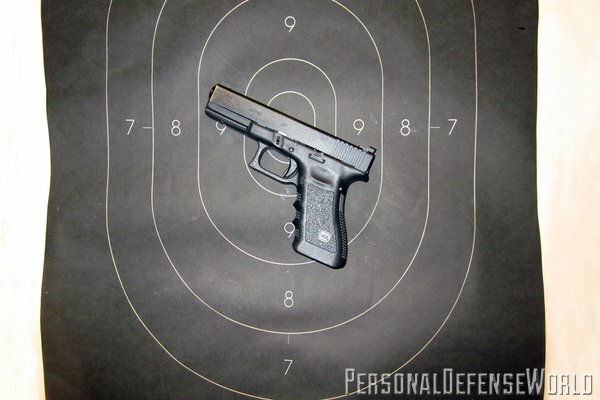 Here, a hugely popular choice is a gun that GLOCK literally made for this game: the G35 Practical/Tactical .40, with its 5.3-inch barrel tailored to give the longest possible sight radius while staying within the dimensional limits of USPSA/IPSC rules. Another category is Production, in which the soft-shooting 9×19 cartridge has no scoring disadvantage; the Practical/Tactical G34 9×19 with a 5.3-inch barrel makes huge sense here. 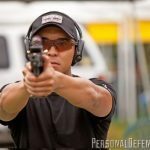 Finally, there is IDPA, “the concealed carry sport.” GLOCK’s G34 9×19, mentioned above, is perennially the single most popular handgun entered at the IDPA National Championship. Its service-sized sister in 9×19 with a 4.5-inch barrel, the GLOCK 17, is almost as popular at that major event, and probably more so in local IDPA matches around the country and the world. 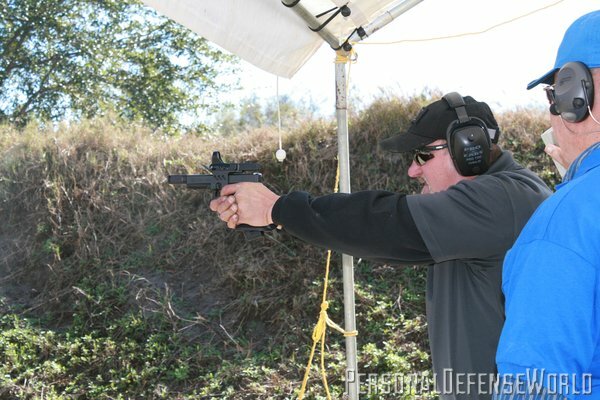 “Super Dave” Harrington, famed spec-ops tactical instructor, has competed successfully in many major IDPA matches with the compact GLOCK 19 in the same caliber. 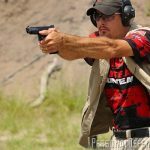 At this writing, Team Safariland’s Bobby McGee has been winning a major match per month in IDPA. According to Hope Bianchi Sjursen of Safariland, his winning pistol is a GLOCK 34 customized by Glockworx. The man to beat in IDPA today is Bob Vogel. 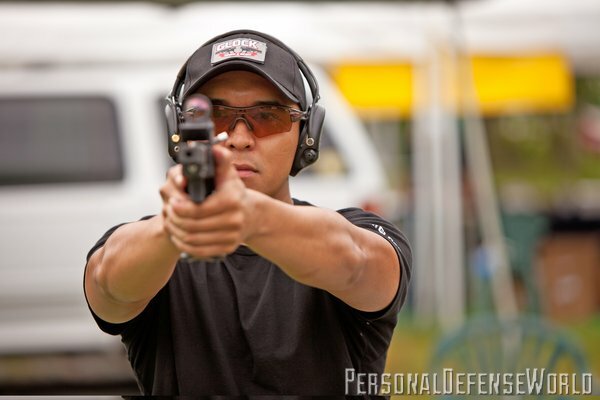 He is the current IDPA World Champion, with a score dramatically better than “the rest of the best of the best” at the 2011 world shoot. He used one of his trademark guns, a GLOCK 34. Vogel has used the same gun to win the Stock Service Pistol IDPA Championship against double-action autoloaders, and he has used the exact same pistol to win the Enhanced Service Pistol Championship against light-trigger, single-action 9mm and .38 Super target pistols. Vogel has also used the GLOCK 21 to win the National Custom Defense Pistol Championship against 1911-style .45 AUTO. Alas, I have only the length of an article in which to extol the GLOCK’s virtues in match shooting environments. A book could be written on the topic, and indeed, has been written. It’s The GLOCK In Competition by Robin Taylor. 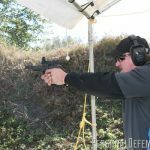 The Gun Digest Book of the GLOCK by my old friend Patrick Sweeney is another book that includes a lot of material on the GLOCK pistol in the competitive shooting environments. Both men have “been there and done that” with GLOCKs and have good advice to share. Indeed, there’s a fast-growing shooting game devoted solely to the GLOCK pistol. 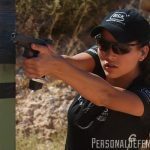 It’s GSSF, the Glock Sport Shooting Foundation, and you can learn all about it at gssfonline.com. In this very magazine that you are holding in your hands, you’ll hear from some GSSF champions about not only their favorite GLOCKs but also their proven, winning shooting strategies.